I’m pregnant. Can I get a massage? Massage can be very beneficial for the mother and fetus during pregnancy. However, pregnancy is a physical condition that requires a therapist to make bolstering adjustments. Special considerations and contraindications also apply. The first trimester, which is the first three months of pregnancy, is considered by medical professionals to be the most crucial time for the mother. The embryo is free-floating in the uterus until it gets a chance to embed in the uterine wall, which takes approximately 7 days. It is also at this point that the embryo undergoes important developmental stages to become a fetus (Braun, Simonson 2005). With doctor’s permission, a healthy woman with a normal pregnancy may receive bodywork during pregnancy. All pre-natal massage must be administered in a side-lying position when receiving any type of bodywork. Preeclampsia: this usually occurs in the later stages of pregnancy. It is a form of toxemia characterized by edema, protein in the urine and hypertension. In addition, certain massage modalities should be avoided while a client is pregnant. Can my child get a massage? Therapists work on clients of all different ages. As a general rule, persons under the age of 18 must have parental consent to receive bodywork. If the child is younger, and smaller, the session is generally 20 to 30 min. When a child asks for a longer session, it may be necessary to integrate different modalities into the massage. This illuminates overworking his/her body and cause a health response. If the child is closer to an adult, the massage may be 50 to 60 min. 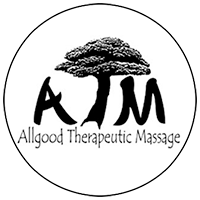 Modalities are different types of massage, such as Swedish, sports, reflexology, craniosacral, and acupressure. More than likely, your therapist is integrated three to four different modalities into your session, based on your needs and your goals. Swedish massage is the most basic form of bodywork in the western culture, using basic “classic” strokes and techniques to manipulate the soft-tissue of the client. What does deep tissue mean? Deep tissue can be used in any type of massage. It is performed by warming up the client’s tissues and then applying firmer, slower, and deeper pressure to be able to reach deeper-lying muscles. While this type of massage may be somewhat uncomfortable for the client, as some describe, “hurts so good,” it benefits the client by producing more lasting dilation and flushing to the tissues. This is where real therapy to affect change begins. Your therapist is working to get you into the “Optimal Therapy Zone” of a 7-8 on a scale of 1-10. On the scale, 1-3 means the strokes feel light compared to how you would like it to be. 4-6 means the strokes feel good, but could use more pressure. 7-8 means the pressure is perfect, it “hurts so good.” 9 means it’s a little too deep and 10 or higher is too deep. The pressure is too painful and injury could result. Because you are unique, your 7 may not be the same as somebody else’s 7, so your therapist should ask you where you are on this scale, but if at any point it is not where you want it to be, let your therapist know so she can adjust her technique accordingly.